Farmers are now fearing they could face a nightmare scenario next spring with a possible shortage of feed and fodder on the cards combined with the UK crashing out of the EU. The president of the ICMSA has said the significant increases in farmers ordering feed from merchants must be interpreted as a signal we are likely to face fodder and feed issues throughout the remainder of the year and into spring 2019. Pat McCormack said that while it did no one any good to overly dwell on the negatives and threats, it would be “very remiss” of the Government and stakeholders not to move immediately towards preparing a response to an upcoming period that would, he feared, present a nearly unparalleled challenge to the State’s multi-billion farming and food sector across several fronts. 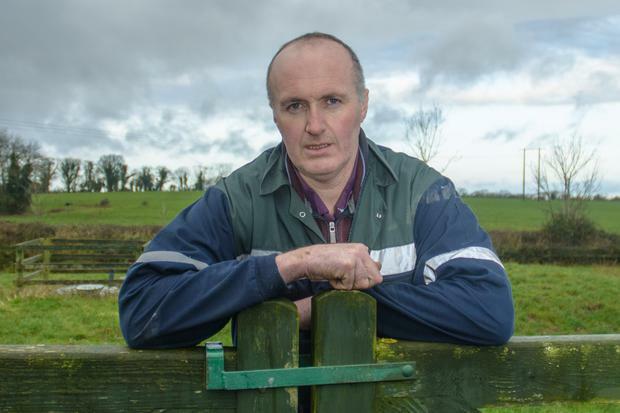 Specifically dealing with reports from feed merchants noting sharply upward unseasonal orders from farmers, Mr McCormack said that they coincided with his association’s own analysis. 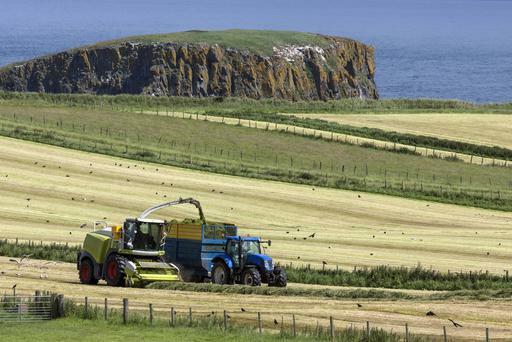 “We already know that right across the country farmers have already fed their stock the first cut silage that they were able to get in in May. “There hasn’t been a second cut for the obvious reason that there hasn’t been rain, and even if the weather conditions became optimum for growing grass it’s very probable that unless we have a long and warm autumn we’re looking at a second year of fodder pressure. “I don’t want to be alarmist and I’m incredibly conscious of the stress farmers and their families are already under, but we have to face reality and what I want to say is that we shouldn’t have to face this reality alone. “We desperately need the Government to begin immediately to prepare for what looks inevitable and that will mean a real and meaningful ’round-table’ that brings everyone together – officials, farmers, processors, beef factories and feed merchants – and works through the ways by which we can help the farmers who are the basis for our whole multi-billion euro agri sector,” he said. The ICMSA president also warned that the ‘nightmare scenario’ had a fodder shortage rolling into next spring and the Brexit crisis unresolved leaving the UK ‘crashing out’ in a way that threatened our traditional British markets. “Ireland is the most exposed economy in the EU to a ‘no-deal’ situation and within that, farming and agri-food is the most exposed sector. “The amendments the UK government was forced to accept days ago will likely prove unacceptable to the EU negotiators and the prospect of the UK crashing out next March – a once unthinkable prospect – is now becoming distinctly possible. “Everywhere farmers look we see real difficulties and what I’m saying now is that it’s time to really engage with them and start coming forward with positive options. “We have answers to these problems but the Government must grasp how critical this could get – indeed, how critical it already is,” Mr McCormack said.